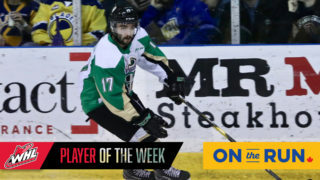 RAIDER REVIEW: The Prince Albert Raiders (6-23-1-0) finish off their home-and-home series with the Moose Jaw Warriors (17-6-4-1) on Saturday night at Mosaic Place. Last night in the first leg of two-game set, the Raiders fell 7-3 to the Warriors. Moose Jaw jumped out to a 3-0 lead after 20 minutes with two goals from Jayden Halbgewachs and one from Tanner Jeannot. In the second, the Raiders cut the lead to one after Austin Glover and Tim Vanstone got the Raiders on the board. However, Noah Gregor gave the Warriors a two-goal lead again with his marker midway through the frame. Jeannot opened the third period with his second goal of the game. 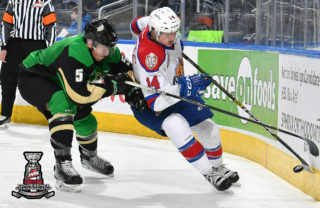 Spencer Moe got the Raiders back within two at the 11:02 mark of the final period, but Gregor and Brett Howden added goals to round out the scoring. Ian Scott stopped 25 shots in a losing effort for the Raiders. 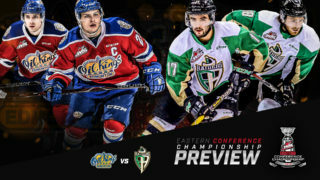 VS. MOOSE JAW: This is the fourth of eight meetings between the Raiders and the Warriors this season and the second of four at Mosaic Place. This is also the third game in the last eight days between the East Division rivals. The two teams also play again on Dec. 14 in Moose Jaw. 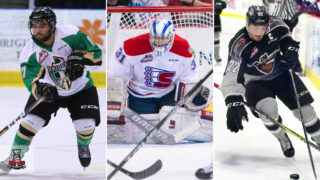 ON THE BOARD: After just missing out on a number of close calls, Raiders rookie Spencer Moe scored the first goal of his WHL career on Friday night against the Warriors. Moe wired a shot past Zach Sawchenko in the third period of Friday night’s loss. 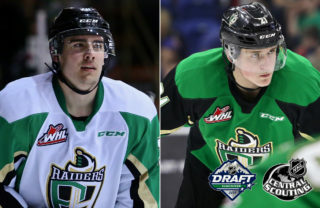 The Raiders’ second round pick in the 2015 WHL Bantam Draft now has one goal and three assists in 25 games this season. STREAK SNAPPED: Raiders captain Tim Vanstone got back on the scoresheet on Friday night against the Warriors. He tallied his first point in 13 games with his second-period goal. The 20-year-old has five goals and give assists this season. 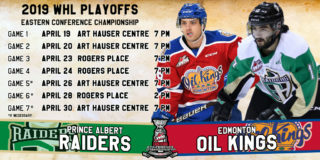 NEXT UP: The Raiders return to the Art Hauser Cente on Tuesday, December 13 against the Edmonton Oil Kings on Santa Anonymous Night presented by the Prince Albert Optimist Club. Fans are encouraged to bring a new, unwrapped present for donation to the Salvation Army. Game time is 7 p.m. Tickets are available here, at the Raider Office or by calling 306-764-5348.